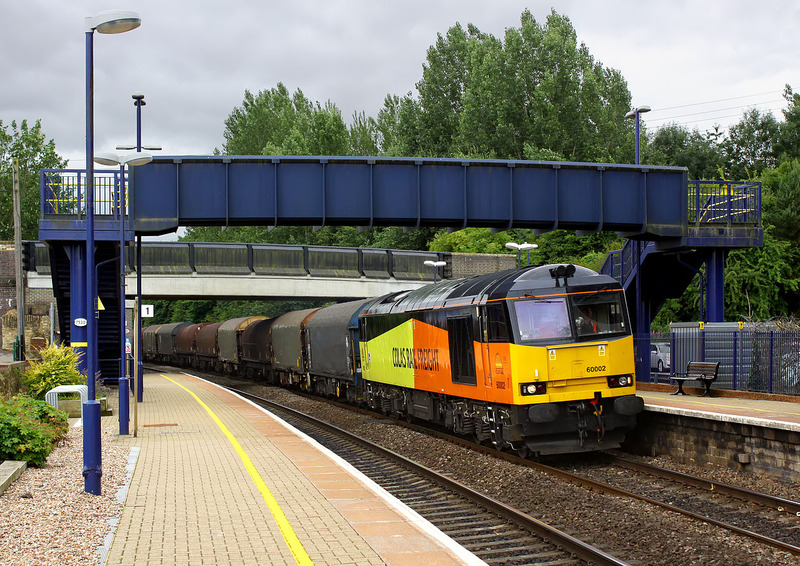 60002 passes through Heyford station on 27 July 2015 with the 6M17 06:58 Margam to Washwood Heath covered steel wagons. I wanted to take this at an identifiable location, but normally the lighting on the Oxford to Banbury line would be hopelessly backlit for a midday shot. However, after both heavy rain and then sun, the weather finally settled down to the forecast dense cloud, so no problem with backlighting as the train passes through the well maintained canal side station.